Crocodyllus ferns are tropical plants. Although these ferns won't survive the winters in many climates, they can lend an air of tropical paradise to your houseplant collection. They are often called "crocodile" ferns, becaue their long, flat fronds look similar to the hide of a crocodile. Keeping this variety of fern healthy can seem tricky, even for experienced gardeners. The best way to promote optimal health is by creating an indoor environment that mimics the fern's native habitat. Crocodyllus ferns require rich potting soil that is loamy, and contains an abundant amount of vegetative compost. Use a commercial African violet mix, or make your own by mixing one part charcoal chips, one part coarse sand, two parts garden soil and two parts composted leaves. Mix these ingredients together well to create a rich, well-drained medium. Transplant your nursery Crocodyllus fern into a pot that is about twice as large as the root ball. This will give the roots adequate room to expand and mature. These tropical ferns require plenty of water. Since trapped water tends to increase the risk of fungal diseases, use a pot that contains at least one drainage hole in the bottom. Water this plant whenever the surface feels slightly dry, providing enough water to force a few drops through the pot's drainage holes. Humidity is a major concern in growing ferns indoors. Create adequate amounts of humidity by placing a tray with pebbles under the pot and spray the leaves with a gentle mist several times each week. Like many ferns, Crocodyllus ferns prefer low light or indirect sunlight. A northern or eastern window provides the best light exposure. Turn the plant once or twice each month to encourage even growth. Your 'crocodile' fern probably requires a tad more maintenance than your other houseplants. Provided the ideal environment, you'll still need to be careful about fertilizing and checking for fungal growth and other diseases. Prevent nutritional deficiencies by fertilizing your fern monthly throughout the active growing season. Use a water-soluble fertilizer labeled for use on ferns, following the application instructions on the label. Do not attempt to promote more growth by increasing the amount of fertilizer. Too much fertilizer may damage this fragile fern. Like many varieties of ferns, these ferns are also susceptible to damage from certain pests and disease conditions. Fern scale is a common pest in ferns. 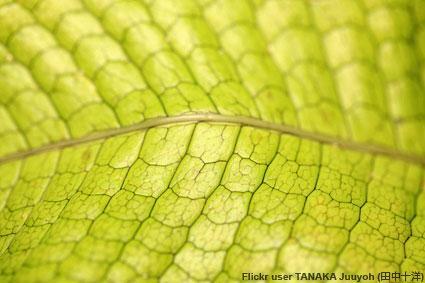 These tiny insects create the appearance of flaky, white spots along the foliage and stems of ferns. Applying insecticide oil to the affected leaves and stems can help eliminate these tiny pests. Fungal conditions are also common in ferns, due to the high levels of humidity. Overwatering can also increase the risk of fungal infections. Trimming off crowded fronds to encourage airflow will help reduce the possibility of this disorder. Fungicide foliar sprays and soil drenches can help eliminate fungus. Crocodyllus ferns reproduce naturally through spore production, although the best way to propagate cultivated ferns is through root division. Simply lift your mature Crocodyllus fern from its pot in the springtime when new growth starts to appear. Separate the rhizomes, gently cutting apart ones that twist or grow together. Do not keep the roots out of the soil any longer than necessary. Place these separated rhizome segments into pots that contain rich, loamy potting soil. Keep the soil slightly moist while young roots begin to grow and form new plants. These propagated sections are a good way to obtain more Crocodyllus plants to add to your houseplant collection. They also make great gifts for friends and family. The University of Vermont Extension provides in-depth advice on growing ferns indoors. A University of Georgia CAES publication offers information regarding various species of ferns, including instructions on how to care for these lush plants. The Columbus Dispatch provides specific advice on growing Crocodile ferns. Although your Crocodyllus fern might require slightly more attention than some other varieties of houseplants, its unique beauty makes it worthy of pampering.